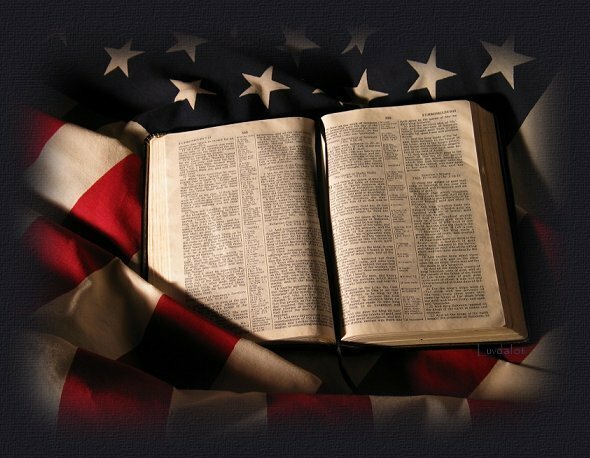 George Washington, the first President of the United States of America said, “It is impossible to govern the world without God and the Bible.” Truer words have never been spoken. A judge represents the Judicial Branch of our government, a lawgiver represents the Legislative Branch of our government and a president (king) represents the Executive Branch of out government. Not only are these three branches part of the federal government, but state governments and municipalities follow the same established pattern and form of government. The separation of powers of government, more commonly known as the three branches of government (legislative, executive, and judicial) we take very much for granted, but where did the principles of the separation of powers originate? They originated in the Holy Bible. The United States does not have a Democracy as a type of government. Since it’s birth in 1776, our nation has held a Constitutional Republic as a form of government, adopted in 1788 by our Founding Fathers with the signing of the proposed Constitution. The Constitution was ratified with the last state (Rhode Island) signing in May 29, 1790. While our government has a democratic style (citizens of voting age can choose their leaders except those appointed by elected officials, and occasionally vote on issues), it is important to recognize that the law of our land is a written agreement, administered by elected officials. The rules of conduct outlined in the constitution cannot be ignored, even if the majority of the citizens feel otherwise. It is also important to understand that our Founding Fathers developed a written form of civil government because of the example another form of written government, the Holy Bible. John Eidsmoe, the author of Christianity and the Constitution. said “The source most often cited by the Founding Fathers was the Bible, which accounted for 34% of all citations…” (The next 65% were cited from men, writings that cited the Bible). Because of their acknowledgment of the eternal God of the Bible, the source of all authority and to whom all people owe allegiance, in all places at all times, and because of an understanding of the nature of fallen man, the Fathers our nation recognized the importance of having a written ‘covenant’ that would bind both the citizens and those whom would be chosen to lead the citizens, to conduct their lives in agreement with the covenant of God. A.W. Tozer said, “Most Christians would be better pleased if the Lord did not inquire into their personal affairs too closely. They want Him to save them, keep them happy, and take them to Heaven at last, but not to be too inquisitive about their conduct and service. The family is the first governing institution and stands at the beginning of creation as the foundational institution for the ordering (governing) of society. Self government is developed within the family. The results of poor family government affects the entire society. The children, becoming corrupt members of society, will incur the wrath of God for their civil deeds, and the nation as a whole will suffer. Now Eli was very old, and heard all that his sons did unto all Israel; and how they lay with the women that assembled at the door of the tabernacle of the congregation. And he said unto them, Why do ye such things? for I hear of your evil dealings by all this people. Family government is the training ground for leaders. It is the place where a person gets experience on a small but ever increasing scale by applying Biblical principles to life’s situations. The churches of our Lord Jesus Christ have governing authority because the institution of the church was instituted by Him. Jesus states that the institution is His. The extent of the churches authority is no greater than what the Bible states. One duty of churches is to keep themselves pure of sinful behavior and doctrinal error; and to make offenders realize their need of repentance. Churches have the authority to discipline unrepentant members. It is reported commonly that there is fornication among you, and such fornication as is not so much as named among the Gentiles, that one should have his father’s wife. And ye are puffed up, and have not rather mourned, that he that hath done this deed might be taken away from among you. For I verily, as absent in body, but present in spirit, have judged already, as though I were present, concerning him that hath so done this deed, In the name of our Lord Jesus Christ, when ye are gathered together, and my spirit, with the power of our Lord Jesus Christ, To deliver such an one unto Satan for the destruction of the flesh, that the spirit may be saved in the day of the Lord Jesus. All rulers and citizens must be aware that the establishment of authority and power among rulers and nations is the result of God’s sovereign decree, according to His pleasure. God has established civil government to be an avenger who brings God’s wrath upon those who practice evil. Additional duties of civil government are the well ordering of society and the maintaining of peace so that Christians are free to worship God, unhindered by force hostile to the gospel of Jesus Christ. This is the Biblical basis of capital punishment. God requires that man, through civil government, take the life of any who commit capital crimes, biblically defined. This action is not the right of the individual, only the government when something is taken that can not be given back. This is the Biblical bases for civil government having responsibility for oversight of coinage of money and protecting the integrity of the financial system. Keeping businesses and ndividuals accountable. Then went the captain with the officers, and brought them without violence: for they feared the people, lest they should have been stoned. And when they had brought them, they set them before the council: and the high priest asked them, Saying, Did not we straitly command you that ye should not teach in this name? and, behold, ye have filled Jerusalem with your doctrine, and intend to bring this man’s blood upon us. Then Peter and the other apostles answered and said, We ought to obey God rather than men. This verse speaks of the requirement of citizens to submit to civil authorities, but not unconditionally. Christians should always obey what God says to do, and then if need be pay the price of following the Lord. When civil authorities over-step their proper sphere of responsibility, their commands must be ignored. But if any widow have children or nephews, let them learn first to shew piety at home, and to requite their parents: for that is good and acceptable before God. Now she that is a widow indeed, and desolate, trusteth in God, and continueth in supplications and prayers night and day. But she that liveth in pleasure is dead while she liveth. And these things give in charge, that they may be blameless. But if any provide not for his own, and specially for those of his own house, he hath denied the faith, and is worse than an infidel. Care of the poor and handicapped is a personal, family, and church responsibility. There is no Biblical basis for transferring this responsibility to civil authorities. Parents have the ultimate authority over children and this includes the realm of education; therefore, neither does government have the power to provide education nor do individuals have the right to education. Government does not have a Biblical authority to provide education, according to the Scriptures, and individuals do not have an enforceable entitlement of education. A Biblical worldview will recognize the limitations of government as well as of civil rights and will look first to the institution of the family and the church as the foundations for education, or secondarily to schools formed voluntarily by parents to better utilize the gifts of particular individuals. Only the family and/or the church are capable of providing the God-Centered education required by Scripture. Scripture speaks in terms of obligations and not in terms of rights, particularly not a to government provided and government funded education. Jesus Christ said, “Beware of false prophets, which come to you in sheep’s clothing, but inwardly they are ravening wolves. Ye shall know them by their fruits. Do men gather grapes of thorns, or figs of thistles? Even so every good tree bringeth forth good fruit; but a corrupt tree bringeth forth evil fruit. A good tree cannot bring forth evil fruit, neither can a corrupt tree bring forth good fruit. Every tree that bringeth not forth good fruit is hewn down, and cast into the fire. Wherefore by their fruits ye shall know them. What are the fruits of the Democratic Party? Can a Christian actually vote for a candidate who is a Democrat? Anyone who votes for a Democrat knowing what issues they support have some serious soul searching to undertake. It may just be that their faith is also invalid.